Regardless of how well educated or qualified you are for a job role, having the right attitude will make all the difference. Without it, there’s no way you’re going to get hired (or keep the job if you are.) Changing our personality can be hard to do, but having the right attitude is something that we can ultimately control as an individual. Our overall attitude consists of our personality, but also how we express ourselves in social settings. After all, dentistry is very much a social job and we should have the appropriate demeanor to go along with it. What all does this involve? What types of attitudes is it that will help us land the job that we really want? In the business of dentistry, we interact with dozens of people each day, whether it’s our fellow employees or our patients. Having a lighthearted attitude and sense of humor is important. If we aren’t fun to be around, a prospective employer isn’t going to want us in the practice. One survey showed that having a sense of humor was more important in employees than how they dressed. Know how to get along with other people, even if they have personalities that are different from our own. Going above and beyond what your personal job duties are will earn other people’s respect and show that you’re committed to the practice mission. Maintaining a positive attitude, regardless of the situation is key. Consider challenges as a way to implement creative ideas or problem solving techniques. If you feel negative, you will act negative. If you act positive, it will help you feel positive. Being a “Negative Nancy” will only drag everyone down with you, but a positive attitude will brighten the day of the entire office. Honesty is always the best policy, whether you’re treating patients or working with other staff. It’s ok to say, “I don’t know” or “I need help.” Doing this will only make you a stronger employee and give you the opportunity to grow your experiences and skills, instead of limit them. If there is something you would like to learn or get stronger at, let your prospective employer know. Explain what steps you’ve taken to improve these skills already and how far you’ve come in the process. Not everyone is perfect and if we pretend that we are then we’re just fooling ourselves. Just as we mentioned that it’s ok to say you don’t know something, it’s just as important to be confident in what you do know. Let opportunities like this shine. 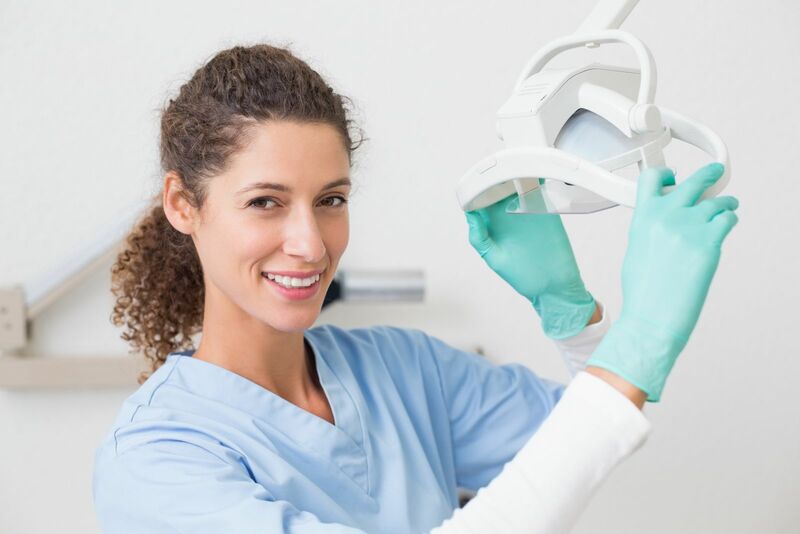 For instance, if you take exceptional radiographs or are a master at impressions, ask if you can have the chance to take them during your working interview. Use what is given to work with and let your confidence and skills speak for themselves. If you’re still in the early interview process, show your confidence through eye contact, speaking clearly, a firm handshake and sitting up straight. Although these might seem small, they’re non-verbal messages that we feel confident about what we’re doing. Do what you say and say what you do. Having a go-get-‘em attitude will show that you’re not someone who tries to get by while everyone else does the hard work. Ask how you can help, do things without being asked, and help others when possible. If you’ve not yet made it into the working-interview phase of the hiring process, you can show some of these traits by listing community or charity involvement on your resume.